Oppede-le-Vieux. 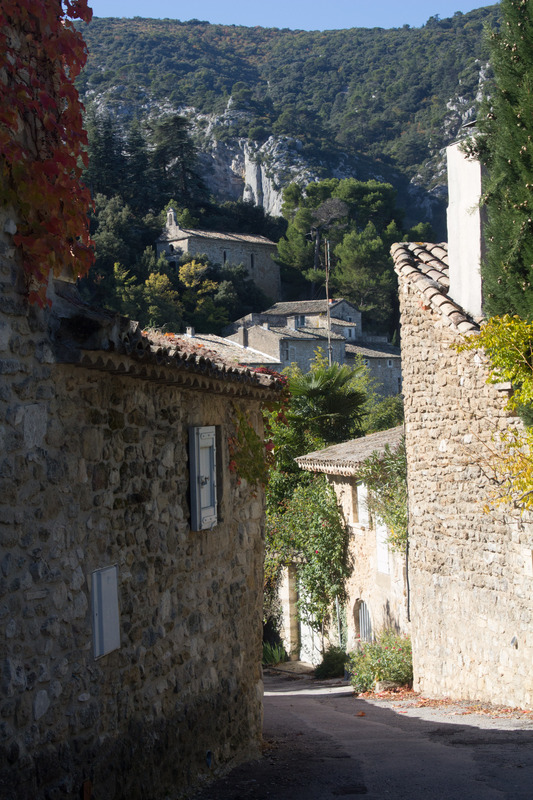 It’s the old town of Oppede, about four kilometres from Menerbes on a back road where cars coming from opposite directions are so close they just scrape past. Unless you drive a white worker’s van. Then you can do anything – you’re invincible! 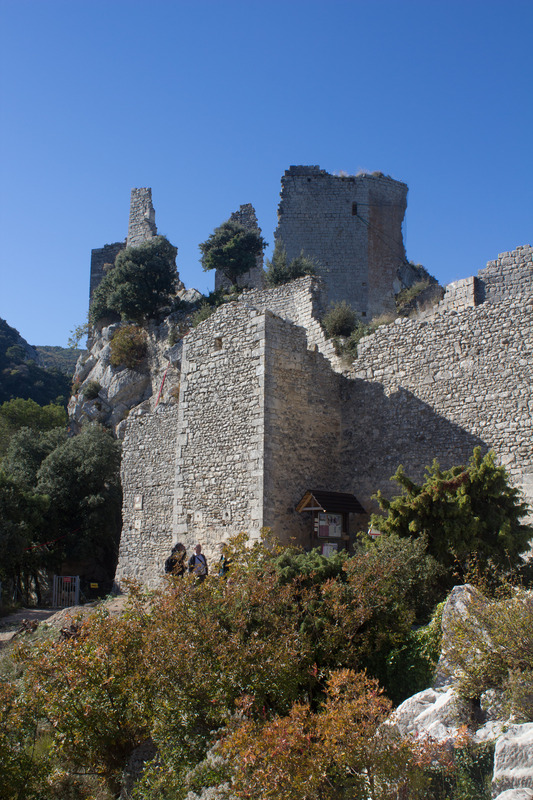 Oppede-le-Vieux is layers of history that unravel as you climb the hill to the ruined medieval castle that dominates the village. At the base there’s a cafe under a shade tree, a bistro, tourist accommodation and a smattering of locals who have resisted the move in the nineteenth century to the new and much more amenable Oppede on the plains. The base of the village seems to exist solely for the tourists. 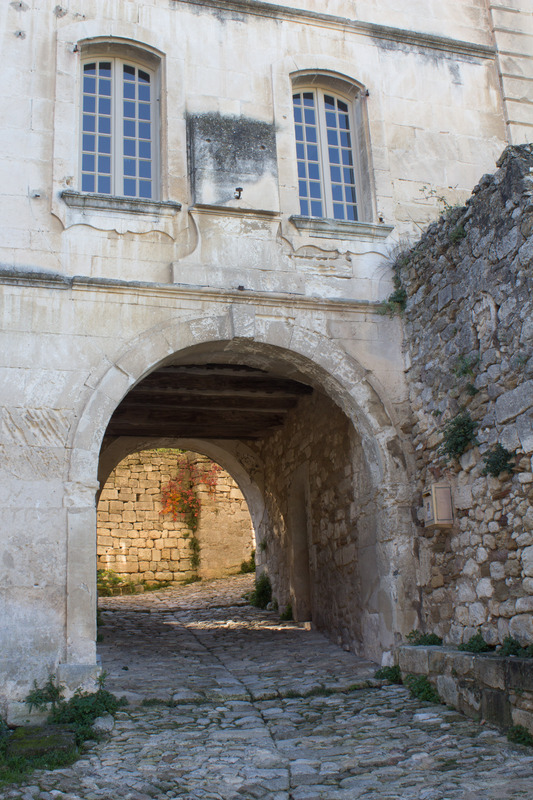 I go under the renaissance arch into the old village behind the walls. Here the tiny cobblestone paths wind past houses which are inhabited and beautifully restored, but also past ruins . As I walk along a path I hear what sounds like the beating of a rug above me. I look up. An old lady at an gorgeous arched window is emptying a vacuum cleaner bag down on top of me. There’s only one way to go – UP! The higher you go the less restored the buildings and you find yourself in the medieval part of the town. Saplings and shrubs have taken root in the living rooms and bedrooms. Vines curl the wrong way through empty windows. When I look through them into the houses I can see the sky. Here families slept, children played in the lanes, the mothers called from the windows, they huddled behind barred gates while marauders razed their fields. There’s not much left of the medieval houses near the castle. 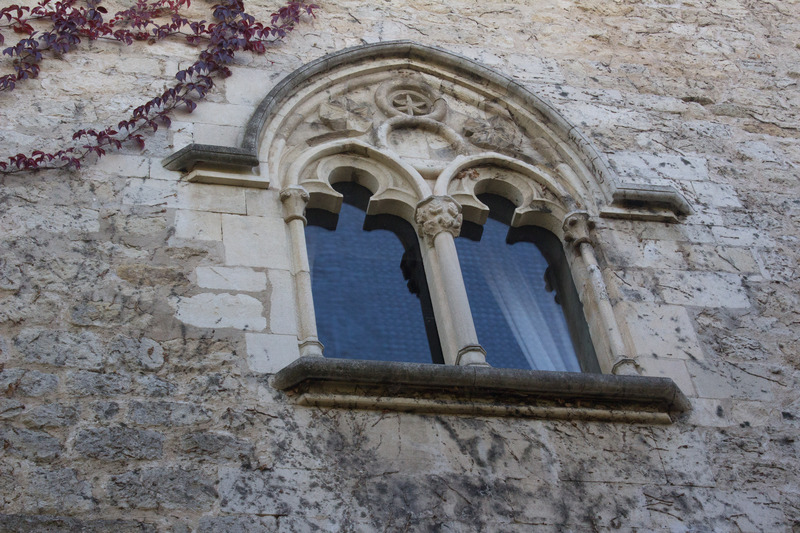 They’re now facades with windows and doors blocked with stone, or just stone walls. 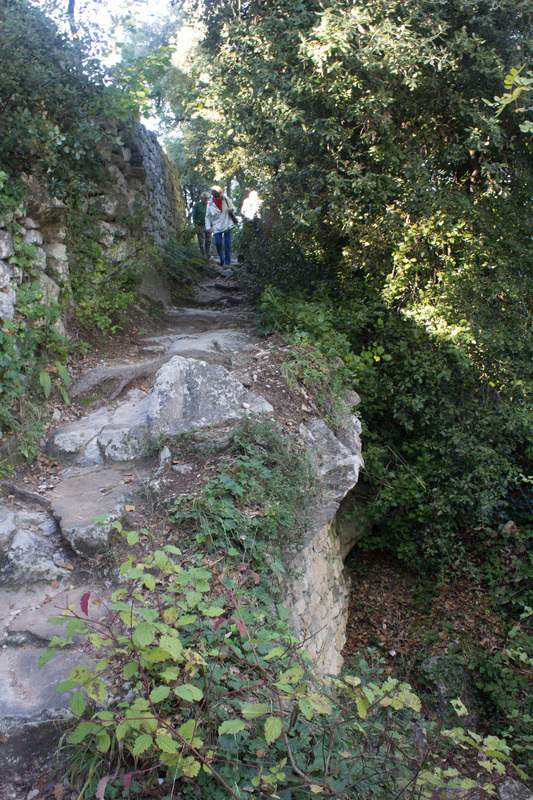 The paths become narrower and the steps steeper. Then you come out on top and I can see across the plains of vines to Menerbes and Gordes on neighbouring hills, and Mont Ventoux in the distance. 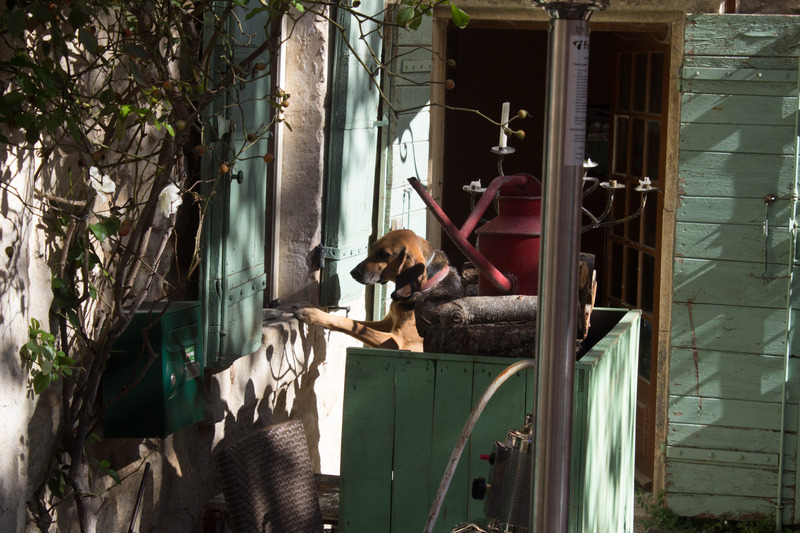 The old inhabitants of Oppede-le-Vieux left the heights to escape the sunless winters – it’s built on the north side of the hill – and the need to haul water up to their homes every day. The chapel at the top has been painstakingly restored but it’s locked. 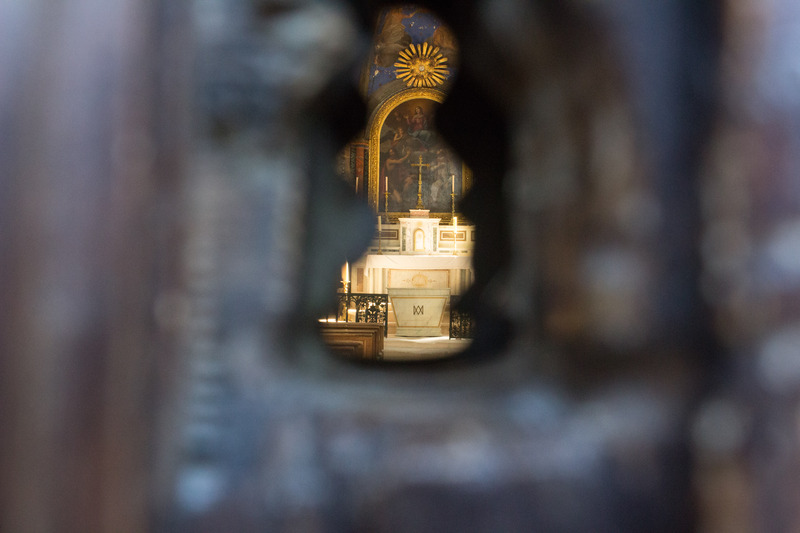 I sneak a look through the keyhole. The castle is undergoing restoration and is also closed. Signs warn of falling rocks and looking at the supported wall it’s a real possibility. Needless to say I go straight to my notebook when I get home. Some places touch you deeply. Oppede-le-Vieux is one of those places for me. 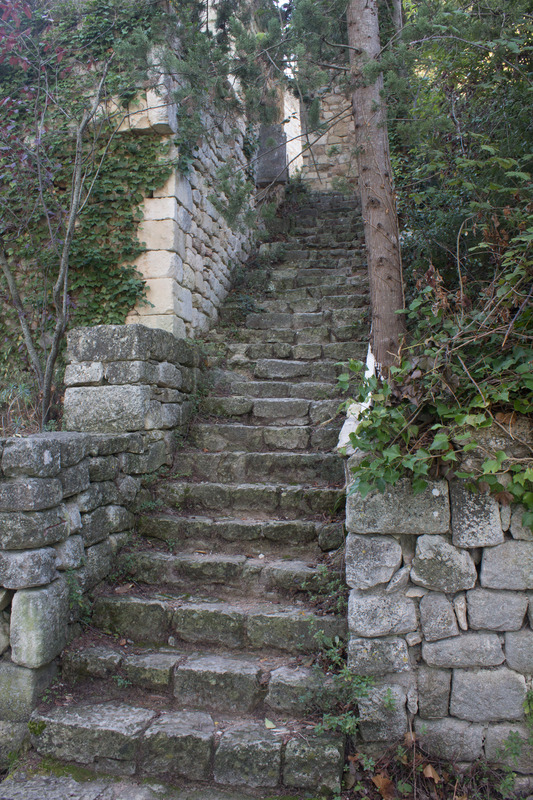 This entry was posted in Travel, travel writing and tagged history, Oppede-le-Vieux, ruins, travel, travel writing, writing. Bookmark the permalink. what an artist you are! 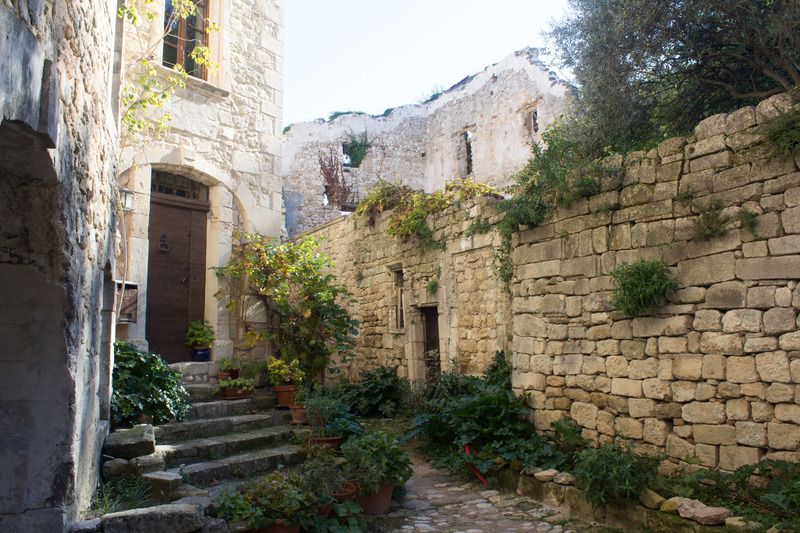 I just love your photos my pick is the first from colours of the sun kissed vine on the wall, the different hues in the stone work to the lovely shapes of the roof tops as the path leads down. So inspiring I just want to paint it then I scroll down and they are even better. What a place. What a day. It is an amazing and inspiring place, Sue! There are a few artists who live and have their studios at the bottom of the hill. You would be in your element here. I’m still trying to unravel exactly what feelings it evoked in me. There’s my automatic writing for today! Karen, I agree with Sue – your photos are superb and so artistically composed – even the peep through the keyhole. How clever! As I climb the cobbled lanes and stone stairs, peak through ancient arches and doorways, all the time accompanied by your artful narration, I find myself holding my breath. It’s enthralling to wonder what awaits further up the ascent. How much more enthralling it must feel to actually be there physically. Sheer joy, I imagine! Loving every minute there with you! This place is incredibly photogenic, Di! I so wanted to go into that church and through the keyhole was the only way in! That ruined old village was quite a spiritual place. It was enthralling for the emotions it evoked as much as the physical site. Anywhere vegetation has begun to take over the human environment echoes of the transience of humankind. It brings up powerful feelings. I loved it! I agree with both Sue and Diana – the art of your photos is wonderful. Of them all I like best the Keyhole photo and the ‘do not stand under’ window. 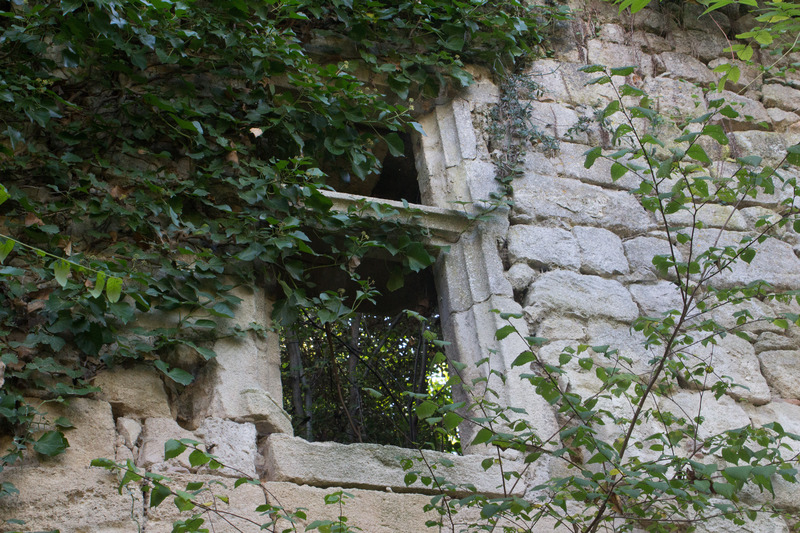 that last one is surely grist for the writing mill – I wonder who lives [lurks] behind that window. Perhaps i will have to find out through writing. I love that last window too, Marg. I took so many photos of it from all angles I filled up a card. It had been so painstakingly carved I could only imagine the excitement of the family when they finally moved into their beautiful new home. And now it’s an empty shell and all overgrown, and they’ve been gone nearly 400 years. I hope you do write from that photo. I’d love to read it. Hi Karen – Great powers of description that combine with your photos. I love prowling around old buildings and your work makes me want to go to the Oppede. Thanks so much for stopping by and commenting, Andy. Oppede-le-Vieux is an incredibly experience and I hope you do go. 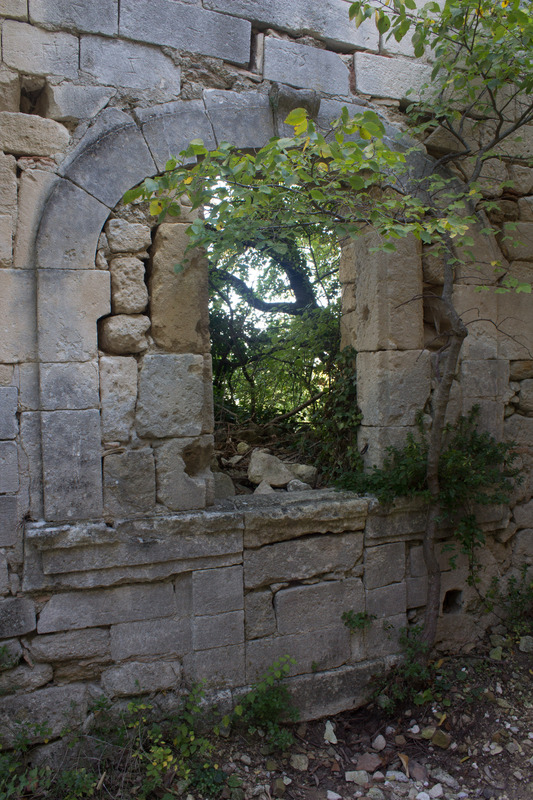 The ruins are as powerful as the old buildings they’ve renovated. No worries, that happens to all of us! Glad you enjoyed the post. Thanks for your kind comments. Fab pics and writing, Karen! Thanks for reading and the kind comment.